My dear pupils!!!! I` m waiting for you with impatience!!!! I hope you will find somethig useful at these pages!!! Good luck!!! All languages are different. Some are very hard, some are easier, some are similar, but there are no identical languages in the whole world. There are more than 2,700 languages in the world. Many of them are "alive" because people use them, but there are some "dead" languages, for example Latin. Two thousands years ago, Latin was the world's most important international language. Today this title belongs to English. It's a global language of travel, business, pop culture, sport and science. Over one billion people speak English. That's almost one fifth of the world's population. For over 400 million it's their first language. For the other 600 million it's either a second language or a foreign language. To my mind English is worth studying. There is a proverb: "A new language is a new world". "Knowledge is a power", one great man said. Speaking a foreign language one can not only read the papers, magazines and original books by outstanding writers, but as well watch satellite programmes, travel easily to different parts of the world. 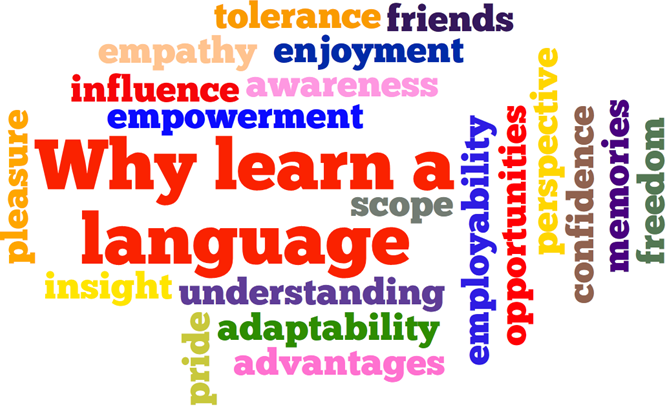 Besides, understanding and speaking a foreign language became necessary while applying for a good and well-paid job. Now I know that it is a must for XXI century professional no matter what job to choose. The world is getting smaller and international connections tighter. A lot of foreign delegations keep coming to our country, hundreds of joint ventures have appeared in every city of our country recently. So without doubt you can't do without learning this beautiful language.